Gerhard completed his BVSc degree in 1994 from the University of Pretoria’s Faculty of Veterinary Science at Onderstepoort, after completion of his BSc (Zoology) at the same institution. He completed the inaugural course in dentistry offered through the European school for Advanced Veterinary Studies in 1998. Gerhard completed his BVSc degree in 1994 from the University of Pretoria’s Faculty of Veterinary Science at Onderstepoort, after completion of his BSc (Zoology) at the same institution. He completed the inaugural course in dentistry offered through the European school for Advanced Veterinary Studies in 1998. After 3 years in Europe he returned to Onderstepoort where he has been the head of the Dentistry and Maxillofacial Surgery clinic ever since. Gerhard completed an MSc describing the clinically relevant morphometrics of African elephant tusks and recently completed his PhD on structure, development and pathology of the cheetah maxillofacial complex. In 2017 Gerhard became a founding member of the certificate in Zoo and Wildlife Dentistry under the auspices of the American Veterinary Dental College. His research interests include developmental dentistry and maxillofacial surgery of non-domesticated species as well as maxillofacial pathology and surgery of domestic species. He has lectured in many parts of North America, Europe, Asia, Australia and Africa. Gerhard has published 31 peer reviewed papers, authored or co-authored 4 book chapters and has delivered more than 50 international conference presentations. He is married to Sonja, an oral pathologist, and they have two kids, Natanya and Marinus. Emeritus Professor / Chief Specialist and Head Department of Maxillo-Facial and Oral Surgery, University of Pretoria & Former Honorary Consultant of the Military No.1 Hospital, South Africa. Emeritus Professor / Chief Specialist and Head Department of Maxillo-Facial and Oral Surgery, University of Pretoria & Former Honorary Consultant of the Military No.1 Hospital, South Africa. Professor Kurt-W. Bütow has had his training at various Universities and received the following degrees: BSc[Chemistry and Botany-Biochemistry](RAU), BChD, MChD[in Maxillo Facial and Oral Surgery](Stell), DrMedDent(Erlangen–Nuremb), PhD, DSc[Odont](Pret), a Colleges of Medicine of South Africa fellowship(pr), FCMFOS(SA), and FIBCSOMS(cr). He is the only South African Maxillo-Facial and Oral Surgeon who holds three doctoral degrees. The Facial Cleft Deformity Clinic, the largest in Africa with more than 4900 patients, was established by him, and he was one of the first a Program Directors for the IAOMS fellowship program in Cleft Lip and Palate and Craniomaxillofacial Surgery (2010 – 2013). He has published more than 375 scientific papers and abstracts (>170 on cleft treatment), including a number of books (3 on cleft treatment) and presented more than 400 (more than 170 on invitation) extra-curricular lectures, nationally and internationally in more than 25 countries. Various awards and honours have been conferred on him and is listed in couple of International Who’s Who. Darlene Lubbe is an Associate Professor in the Division of Otolaryngology at Groote Schuur Hospital at the University of Cape Town, South Africa. Her main interest is endoscopic sinus, skull base and now more recently, transorbital surgery. She currently runs the Karl Storz training programme in endoscopic sinus and skull base surgery for Sub-Saharan Africa. Darlene Lubbe is an Associate Professor in the Division of Otolaryngology at Groote Schuur Hospital at the University of Cape Town, South Africa. Her main interest is endoscopic sinus, skull base and now more recently, transorbital surgery. She currently runs the Karl Storz training programme in endoscopic sinus and skull base surgery for Sub-Saharan Africa. She has been involved in the development of instruments for transorbital skull base surgery and has co-authored chapters on transorbital surgery, describing the different surgical approaches. She has presented her work on transorbital surgery at many international conferences across the world and will be teaching the different techniques at international courses over the next few years. Sharan Naidoo is a Maxillofacial and Oral Surgeon who holds both a Dental and Medical degree. He completed a two-year training programme in Cleft Lip and Craniofacial surgery at the Facial Cleft Deformity Clinic, Department of Maxillofacial and Oral Surgery, University of Pretoria. Sharan Naidoo is a Maxillofacial and Oral Surgeon who holds both a Dental and Medical degree. He completed a two-year training programme in Cleft Lip and Craniofacial surgery at the Facial Cleft Deformity Clinic, Department of Maxillofacial and Oral Surgery, University of Pretoria. Currently he serves as Head of Clinical Unit at the Department of Maxillofacial and Oral surgery, University of Pretoria where he is involved in training and development. Sharan is passionate about cleft management and is an integral member of the multidisciplinary Facial Cleft Deformity team. His interests lie in developing surgical techniques to improve outcomes in cleft surgery. Dr Sabesan is a Maxillo-Facial Surgeon from the General Hospital , Negombo, SriLanka. His main interest are “Facial Reconstruction” and “Facial Aesthetics “. Robert was appointed as a consultant Craniofacial and Oral and Maxillofacial surgeon at King’s College Hospital in 2000 and has developed both an adult and paediatric craniofacial and skull base practice as well as treating facial deformity in its widest sense. Robert became departmental lead in 2003 and since 2008 the Clinical Director for Major Trauma at King’s and in 2010 launched the South East London Major Trauma Network which expanded to include Kent and Medway in 2013 to delivering integrated Major Trauma care to 4.5 million people. Sat was appointed as an Oral and Maxillofacial /Head and Neck /Reconstructive Surgeon at the University Hospital of Birmingham in 2003. He is one of the directors of the European Head and Neck Course and the Head and Neck Oncology for Surgeons courses. Professor Leon Janse van Rensburg is a medical graduate from the University of the Witwatersrand, Johannesburg and postgraduate from the Universities of the Free State, Stellenbosch and Western Cape. Professor Leon Janse van Rensburg is a medical graduate from the University of the Witwatersrand, Johannesburg and postgraduate from the Universities of the Free State, Stellenbosch and Western Cape. He was awarded the degree Doctor of Science by the University of the Western Cape in 2004. 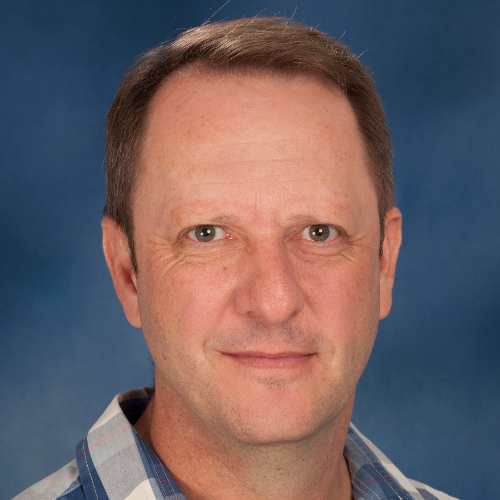 He has been appointed Extraordinary Professor, Maxillofacial Imaging, Department of Radiology and Diagnostics, University of the Western Cape and Consultant Radiologist, Tygerberg Hospital-University of Stellenbosch Cochlear Implant Unit. He completed a 2 year post graduate fellowship in MRI and Neuroradiology at Tygerberg hospital and the MRC and several overseas visiting fellowships. He was awarded the Dean’s Medal, Faculty of Medicine, University of the Free State, the Maurice Weinbren Award of the Colleges of Medicine of SA and won the University of Toronto Diagnostic Imaging Award for Excellence in Image Interpretation. He also obtained the European Diploma in Neuroradiology. Professor van Rensburg has been the Congress Chair of the Radiological Society of South Africa (RSSA) for the past 10 years, spearheading a vibrant CME and Education programme. Apart from being invited as lecturer and speaker to numerous international and national congresses, teaching courses and workshops, he authored over 30 peer reviewed publications. His special interests are in Neuroradiology, Head, Neck and Maxillofacial Imaging Outside Radiology, he loves travel, music from Baroque to Rock, reading, ancient cultures and fly fishing. Dr. Fernandes is a Board Certified Oral and Maxillofacial Surgeon with Certificate of Added Qualification in Head and Neck Oncology and Microvascular Surgery by the American Board of Oral and Maxillofacial Surgery. Dr. Fernandes is a Board Certified Oral and Maxillofacial Surgeon with Certificate of Added Qualification in Head and Neck Oncology and Microvascular Surgery by the American Board of Oral and Maxillofacial Surgery. He is a Professor of Surgery at the University of Florida and holds appointments in the Departments of Oral and Maxillofacial Surgery, Neurosurgery, Orthopedic Surgery and the Division of Surgical Oncology at the University of Florida College of Medicine - Jacksonville. Currently. He serves as the Chief of Head and Neck Surgery, Director of the Head and Neck/Microvascular Reconstructive Surgery fellowship, Director of the Center for Reconstructive Surgery, Co-Director of the Skull Base Surgery Program and Associate Chairman of the Department of Oral & Maxillofacial Surgery. Dr. Fernandes is a Fellow of the American College of Surgeons, the Royal College of Surgeons of Edinburgh (ad. Hominem), as well as many other surgical and medical associations in the USA. He is an honorary fellow of the Spanish Society of OMS, the Mexican Association of OMS, Pakistan Association of OMS, and the Costa Rican Society of OMS. He has lectured extensively nationally and internationally and has authored numerous manuscripts in the areas of head and neck oncology and reconstructive surgery as well a single author textbook Atlas of Local & Regional Flaps in Head and Neck Surgery and is co-editor of the recently published textbook Oral, Head Neck Oncology and Reconstructive Surgery. Dr. Salman is an assistant professor and residency program director in the Department of Oral and Maxillofacial Surgery at University of Florida Health - Jacksonville, FL. Dr. Salman is an assistant professor and residency program director in the Department of Oral and Maxillofacial Surgery at University of Florida Health - Jacksonville, FL. Dr. Salman has been at UF-Jacksonville since 2015. After attending dental school, he completed medical school as well as his residency in Oral and Maxillofacial Surgery at the University of Kentucky Chandler Medical Center in Lexington, KY. Upon finishing his residency, he began his position as a full-time faculty member at UF-Jacksonville Department of Oral and Maxillofacial Surgery. Dr. Salman’s practice currently includes management of facial trauma, orthognathic surgery, surgical treatment of obstructive sleep apnea, TMJ surgery and maxillofacial implant reconstruction. He recently edited a textbook on the management of obstructive sleep apnea. Copyright 2019. SASMFOS | All Rights Reserved. Website developed and hosted by AltonSA.